A bright contemporary sofa designed to bring the outdoors in. 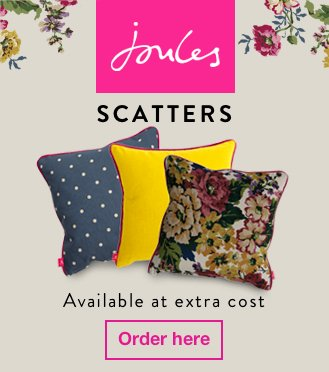 With reversible cushions featuring Joules' iconic Cambridge print. Only available to view in DFS White City store. Feet Available in Washed, Walnut, Washed Pink and Walnut Pink feet at no extra cost. 4 years free credit, no deposit and 48 equal monthly payments of £43.68.